Sometimes a technology is so useful it becomes the standard for several decades. Such is the case with bimetallic spring temperature measurement devices, which have been used to indicate temperature for more than a century. With bimetal temperature indicating systems, as the temperature increases, the bimetallic spring, which remains coiled at room temperature or below, uncoils. This causes a pointer to move, indicating the temperature. 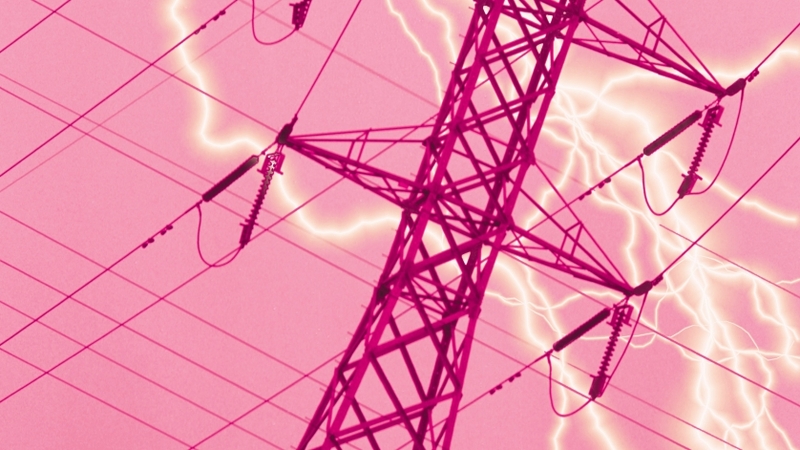 The advantages of bimetal temperature gauges are their relatively low cost and robust design; however, a major disadvantage when compared to electrical temperature devices is that a person must be physically present at the point of measurement to take the reading. Although not generally used for mobile working machines, bimetal temperature gauges are used in a variety of applications in the machine building, chemical, oil and gas, refining, pulp and paper, power and energy and water-wastewater industries. 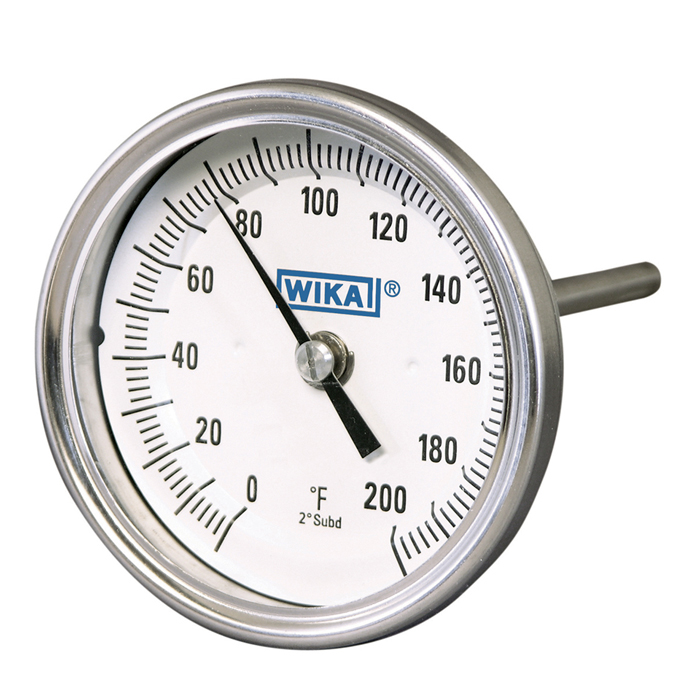 Bimetal temperature gauges are generally produced as a helical or spiral tube. The measuring system consists of two strips of metal with different expansion coefficients that are welded or bonded. The deformation of the bimetal strip into a helix or spiral shape creates a rotational movement when the temperature changes. Given that one end of the bimetal helix is firmly clamped, the other end will rotate to move the temperature gauge pointer shaft. The Model TI.30 and model TI.50 are two of WIKA’s most popular indicating-type bimetal thermometers. These robust bimetal temperature gauges will provide accurate temperature even in challenging environments. Both bimetal temperature gauges are available with a scale range of-100 F to + 1000 F with an accuracy of +/- 1.0% full scale value per ASME B40.3, Grade A. TI.30 TI.50 They include a process grade design, all stainless steel case construction, easy to access external zero reset, hermetically sealed, and are available with silicone case filling or dampened movement for high-vibration applications. 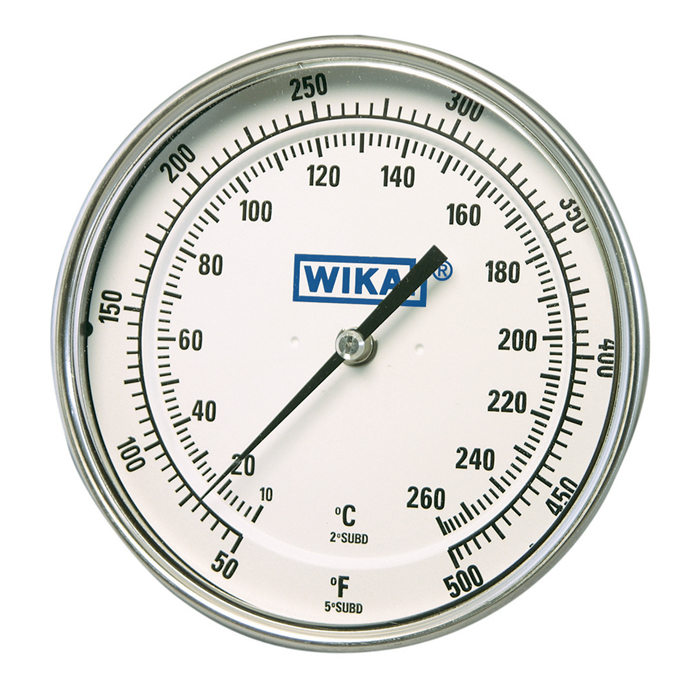 The experts at WIKA can help you with any of your temperature or pressure measurement needs. Just give us a call or drop us a line and our technical service specialists will get you a quote or answer any question you have.